The information contained in this website has been prepared solely for the purpose of providing information about the Zoological Society of London, registered charity number 208728, and its wholly owned trading company Zoo Enterprises Limited, company number 01178687 ("the Parties"), and in particular ZSL London Zoo and ZSL Whipsnade Zoo and the goods and services that they offer. The Parties have endeavoured to ensure that the information contained in this website is accurate. Your use of information held on this website and any downloadable item is at your own risk. The Parties reserve the right to make alterations and corrections to the information contained in this website at any time without notice. By accessing this website you agree that the Parties will not be liable for any direct, indirect or consequential loss arising from the use of the information and material contained in this website or from your access of other material on the internet via web links from this website. The Parties cannot accept responsibility for any disruption, damage and/or loss to your data or computer system that may occur while using this website or any item downloaded from this website. 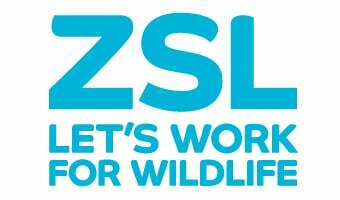 The Zoological Society of London has no responsibility for the contents of this website relating to on-line shopping for goods for which Zoo Enterprises Limited has responsibility and the user will be advised on screen and in the relevant terms and conditions as to which aspects of the site are controlled by each organisation. The copyright and other intellectual property rights in the material contained in this website and any trade marks and brands included in that material belong to the Parties or their licensors. No person may copy any part of the material from this web site without the relevant Party’s prior written consent, other than temporarily in the course of using this website or to keep a record of a transaction entered into using this website. The Parties use links to other websites to improve your experience of this website. The Parties will always seek to make these links clear, so that you know when you have left this website. Please be aware that other websites are owned and run by other companies and organisations and the Parties cannot accept responsibility for any information you choose to divulge to a linked website. In addition, the Parties cannot accept responsibility for the content of third party websites linked to from this website or which link to this website. They are independent of the Parties, and their content is not endorsed or approved by the Parties, even where the third party in question is stated to be a "partner" of one or more of the Parties. If you agree to purchase goods or services offered on or through such third party websites, the resulting agreement will be entirely between you and the relevant third party; the Parties will not be involved in, or have any responsibility under, those agreements. We encourage other organisations and individuals to link their websites to this website. However if you wish to establish a link to this website or any of its content, the Parties require that the link does not open within a frameset from another website and that the referring website makes it clear that the content belongs to the Parties. The Parties have developed this website to be an enjoyable experience for adults and children of all ages. The Parties recognise that younger children may not understand some of the information contained on this website or how it operates. Where appropriate, please discuss this website with your children. As protection of your personal details is serious stuff, please talk to your mum or dad or guardian before sending us any information about you. They can read the "Note to Adults" above. If you want to ask us a question, please make sure your mum, dad or guardian knows that you are getting in touch with us and that it’s OK with them for you to email us. You could also ask them to get in touch with us for you. Please see our education section T&C's for more information.